Vancouver, B.C. – Vancouver Canucks General Manager Jim Benning announced today the hiring of Scott Walker as a Player Development Consultant. A Canucks alumnus, Walker played 197 games, collected 44 points (10-34-44) and 466 penalty minutes in a Vancouver uniform over the span of four seasons. 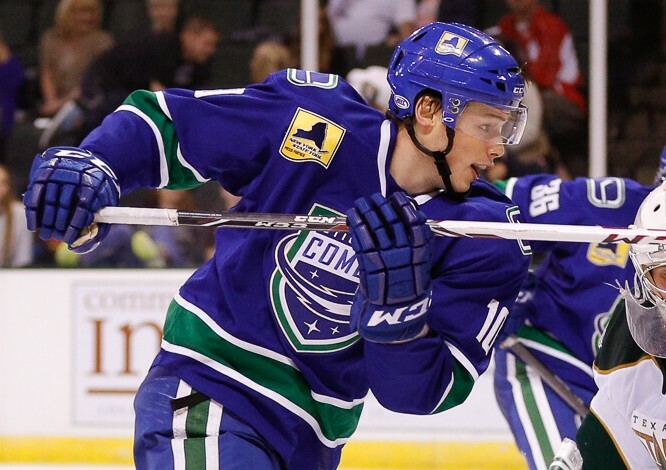 In his new role, Walker will work directly with Canucks prospects. Walker played 829 career games over the span of 15 seasons with the Vancouver Canucks, Nashville Predators, Carolina Hurricanes and Washington Capitals. He amassed 397 points (151-246-397) and 1,162 penalty during the regular season. The Cambridge, Ontario native also added eight points (1-7-8) and 31 penalty minutes in 30 NHL playoff games. Following his playing career, Walker served as Head Coach of the Guelph Storm of the Ontario Hockey League from 2010-2015. Walker led the Storm to a regular season record of 179-105-22 over the span of five seasons and an OHL championship in 2013-14. On the international stage, Walker has captured two gold medals in a coaching capacity. He acted as an Assistant Coach for Team Canada at the 2015 World Junior Championships as well as at the 2012 Ivan Hlinka Tournament. Scott Walker named #Canucks player development consultant. 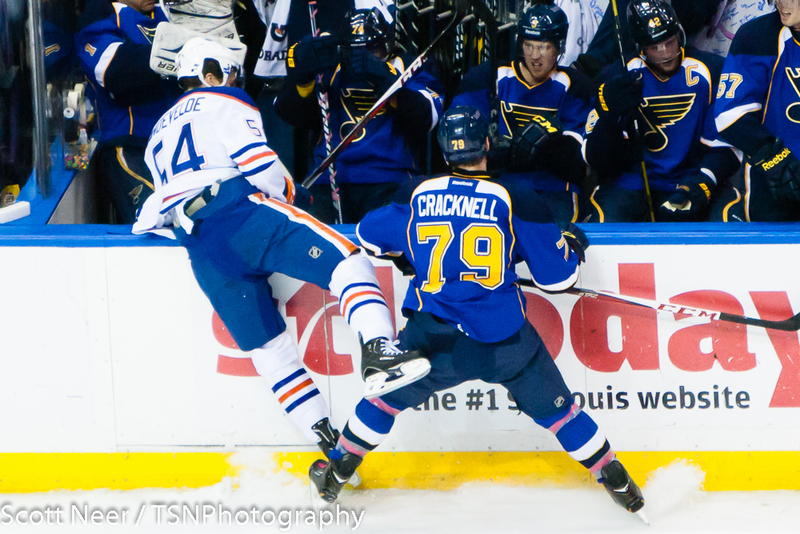 Has Adam Cracknell earned a spot on the Canucks? When Adam Cracknell was signed by the Canucks this off-season, many saw it as a non-event, a signing made purely out of need for NHL ready farm depth. However, the 30-year-old centreman has emerged as one of the pre-season’s biggest surprises, playing a gritty style built for NHL 4th lines. 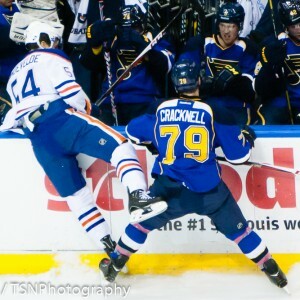 In addition to the sandpaper, Cracknell appears to possess strong footspeed, along with adequate two-way ability (which allows him to take part in penalty kills.) It also appears that Cracknell has the inside track on Linden Vey, the front-runner for the 4th line centre position, and may even edge out 19-year-old Jared McCann for a spot on the roster. Perhaps it’s a stretch, but Cracknell may end up being the Mike Santorelli of 2015-16: the under-the-radar depth signing turned NHL’er on the strength of a strong pre-season. Heading into the pre-season, there appeared to be an intense duel between 20-year-old Bo Horvat and newly acquired Brandon Sutter for the second line centre position. After both having played multiple pre-season contests, those questions should no longer remain, as Horvat has absolutely dominated the former Penguin in the battle for 2C. Horvat, the 9th overall pick in 2013, has demonstrated outstanding offensive capabilities and dynamic skating, along with superb two-way hockey sense. Sutter on the other hand, hasn’t necessarily hurt the club, but also hasn’t impressed in the slightest, posting dissapointing faceoff percentages and contributing nothing offensively. While it’s certainly possible that Sutter snags the spot, based on the high profile of his acquisition and subsequent extension, but if the spot were dolled based on performance, Horvat would be the absolute run away winner.